A judge last week dismissed a lawsuit filed in September by two Asian-American nail salon trade groups that sought to stop New York State from requiring nail salon owners to purchase bonds to pay workers any wages owed to them. The Chinese Nail Salon Association of East America and the Korean American Nail Salon Association of New York argued that the mandate, an emergency order that New York Gov. Andrew Cuomo announced in August, discriminates against Asian immigrant business owners, particularly women, and that it would force salons out of business before they could prove they're committed to meeting the goals of the state's nail salon legislation, signed into law in July to combat worker abuse. New York State Assemblyman Ron Kim, a Democrat who sponsored the legislation, has said the bonds had not been readily available for purchase, and that some owners had complained of being denied bonds or had been quoted "extremely high" premium rates. The New York Department of Financial Services, the state agency that regulates wage bonds, told NBC News in September that there was "no evidence that legitimate, licensed businesses are being denied these bonds." Nail salon owners had until Oct. 6 to secure the bonds. In a decision dated Dec. 1, Acting State Supreme Court Justice Michael H. Melkonian of Albany rejected the trade groups’ claims that the acting superintendent of the Department of Financial Services, Anthony J. Albanese, exceeded his authority by certifying that wage bonds were readily available in the marketplace, and he dismissed allegations that the wage-bond certification violated their constitutional rights to due process and equal protection. Melkonian also denied the groups’ request for an injunction against the state to prevent it from enforcing the wage-bond regulation. “This administration believes in the promise of a fair day’s pay for a fair day’s work, and this requirement will ensure that nail salon workers are paid what they are legally owed,” Cuomo said. The nail salon legislation — signed into law around two months after the New York Times published a two-part series in May examining worker abuse in the industry — has become a contentious topic within New York City's Asian-American community. Between 70 and 80 percent of New York City nail salons are owned by Korean Americans, according to the New York Times. 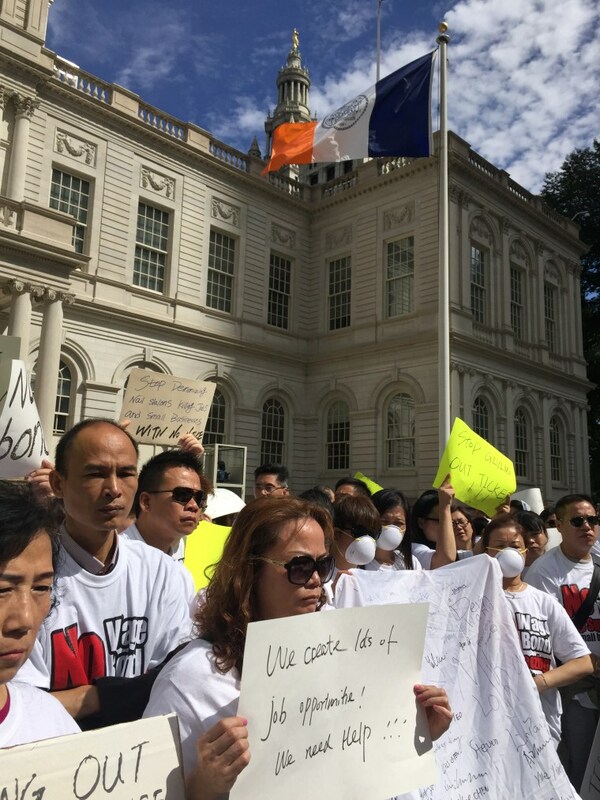 Over the last few months, some Chinese-American nail salon owners have staged rallies on the steps of New York City Hall and in front of the New York Times building in Manhattan to protest enforcement of the law. “We will continue to seek a just solution that protects small businesses and their workers,” they said.